Despite recent increases in state funding, more school districts are turning to referenda to increase spending. 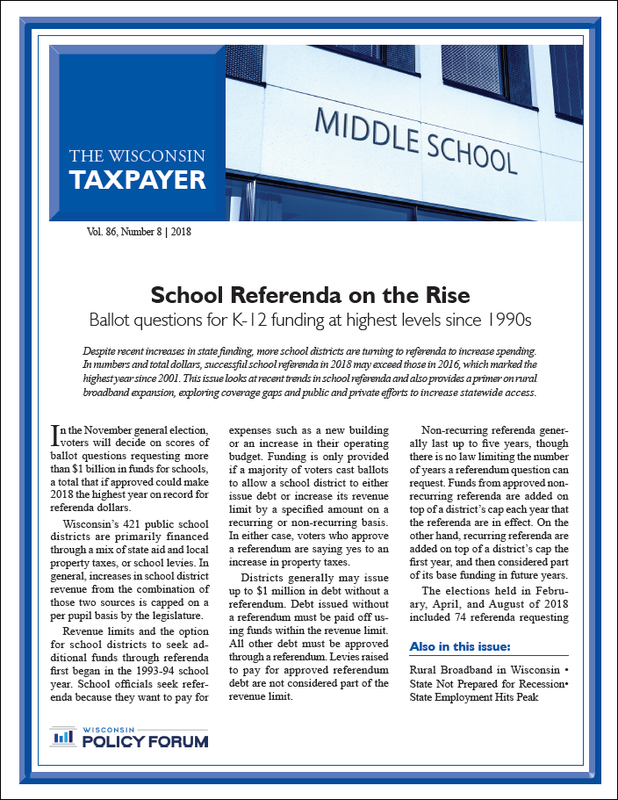 In numbers and total dollars, successful school referenda in 2018 may exceed those in 2016, which marked the highest year since 2001. This issue looks at recent trends in school referenda and also provides a primer on rural broadband expansion, exploring coverage gaps and public and private efforts to increase statewide access. In the November general election, voters will decide on scores of ballot questions requesting more than $1 billion in funds for schools, a total that if approved could make 2018 the highest year on record for referenda dollars. Check out our interactive dashboards that provide more school referenda figures, including district by district data.